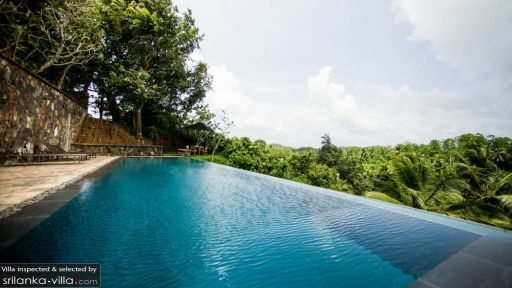 Perched above a fully functioning cinnamon plantation, at Mount Cinnamon Villa the discerning visitor can experience a unique 360 degree view of sprawling beaches of the Weligama bay while breathing in the invigorating aroma of the surrounding cinnamon trees. Mount Cinnamon Villa has four double bedrooms with plush four poster beds, tastefully decorated with antique furniture and fresh tropical flowers from the garden. At Mount Cinnamon Villa, because of its location on a hill, the expansive garden has several levels to be discovered. On one such level you can find their infinity pool overlooking the cinnamon estate and ideally separated from the main building to create a private, romantic setting. For those wishing to be closer to the main Villa, Mount Cinnamon has another pool right next to the dining area, perfect for watching the children playing in the pool while sipping a nice cinnamon cocktail on the veranda. The villa is fully staff fully staffed by a highly trained and friendly team, going out their way to make your stay perfect and unforgettable. For those who wish to prepare a special snack or a meal for the baby, there is also fully equipped second kitchen for use by the guests. Visitors can just walk down the hill to visit one of the only cinnamon museums in the world to understand why Sri Lanka is world re-known for cinnamon. 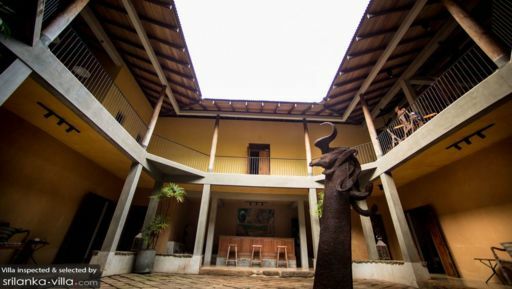 For those travelers can tear themselves away from the indulgence and luxury of Mount Cinnamon Villa, the villa is a few kilometers away the Mirissa and Weligama beaches as well as the UNESCO world heritage site of Galle Fort. The staff at Mount Cinnamon Villa can even help guests organize boat trips inland to explore the nearby river. We stayed at Mount Cinnamon for 4 days at the end of August and were treated with the utmost kindness and consideration. The on-site staff of Thilak, the two houseboys and chef and the driver were charming and nothing was too much trouble. 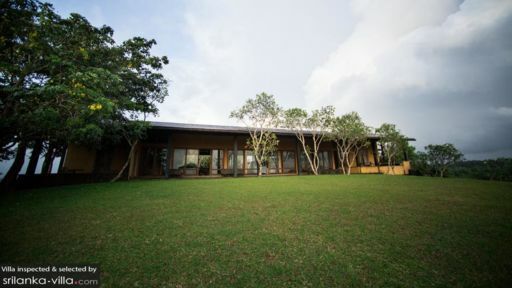 The setting is awesome at the top of the Hill; the villa is absolutely beautiful (designed by an associate of the renowned architect, Bawa) with the most amazing artwork. The drive is steep and muddy, but worth it for the Cinnamon Museum on the way up, and Mount Cinnamon (the villa) with its pool and enormous garden area overlooking the bay. We were treated to tasty breakfasts and dinners, chauffeured from Mirissa to Yala National Park and to Galle, had afternoon tea and tea tasting at the associated Virgin White Tea plantation (run by Herman, who is an absolute treasure and even couriered my forgotten glasses back to me) and got to see the local wildlife - peacocks, monkeys, colourful birds and a litter of stray pups and their mum. If you are looking for a holiday with lots of access to local amenities, restaurants, nightlife etc - do not book Mirissa Hills. If you want somewhere to relax totally, be surrounded by amazing sights and sounds and be treated with care and charm, we cannot recommend Mirissa Hills and its properties enough. We were extremely fortunate to have the villa to ourselves for 3 of the 4 days and this added to the sense of serenity. The only two minor niggles - it is a long drive from Colombo airport and the traffic generally is chaotic. We flew from Dubai where all the flights are overnight, so the car journey made it a long trip. There is an internal flight to Koggala and if you are visiting for a short-break, consider this. We also found the menu options for our fussy 13 year old a little limited, but we know that this will be addressed by the team. Staying here was heaven for us. We had been travelling in this country for more then 3 weeks and this was the perfect place to end it: living like gods, peacefull on the hill. Large and clean rooms, nice swimming pool, friendly staff and yes it's true: the food they serve is amazing. Even if we try hard, we simply can't find a negative thing to mention.. The road to the place is steep but a tuktuk will take you up or down easily. We found out about this place via the brand new edition of Lonely Planet, it's their best choice in Mirissa. We recently spent 3 days in the Cinnamon Museum, a lovely Inn, that is a part of Mirissa. Hill. I arrived with My husband after a grueling 14 hour trip down from Trincomalee. I live in rural California, where our roads are truely bumpy. The road up from the beach was fine. We arrived to fabulous food for dinner and I was coming down with something and the lovely manager sent one of his staff to get me some Ayurvedic medicine. We spent the next day hanging around the pool, earlier in the trip we had spent 4 days at the Giragala at the beach in Mirissa so we had already done the beach. The manager took us on a 2 hour tour of the Cinnamon plantation. I am a chef so I enjoy good food. We spent a total of 5 & a half weeks by the time we arrived there we had stayed in fancy and plain places, from hotels to cabanas. We thouroughly enjoyed the food, the staff, the beauty of the place. It definitely was the most beautifully decorated place we stayed. Great birds there, beautiful view, and the price which included a luscious breakfast was reasonable for us. A unique resort, and great value if you stay in the cinammon museum - still having access to the facilities and amazing view from the villa above. A short 15mins tuk tuk to the beach, and while there is nothing directly at the mueseum - the food at the villa for a relaxing evening is superb.